Thermo Fisher Scientific said today it has expanded its genome editing capabilities by licensing CRISPR technologies from both the Broad Institute of MIT and Harvard and from ERS Genomics, the licensor of CRISPR technologies developed by the Broad’s rivals in the recently-decided bitter legal battle over who first invented the genome-editing application. The value of the licensing agreements was not disclosed. Thermo Fisher has been granted global non-exclusive rights to products, tools and services for research by licensing CRISPR technologies from both the Broad and ERS Genomics, the licensor of CRISPR intellectual property (IP) that it licenses in turn from the Regents of the University of California (UC), the University of Vienna, and Emmanuelle Charpentier, Ph.D., of the Max Planck Institute for Infection Biology. Last week, the Broad withstood a closely watched challenge to its CRISPR-Cas9 patents as the U.S. Court of Appeals for the Federal Circuit (CAFC) sided with The Broad over the UC, the University of Vienna, and Dr. Charpentier. “We are currently evaluating our further legal options in the courts and/or the USPTO,” the UC said last week in a statement. “These licenses expand our industry-leading genome editing capabilities and demonstrate our continued commitment to enabling our customers to unleash the technology's full potential in their research programs,” Helge Bastian, Thermo Fisher’s VP and general manager of synthetic biology, said in a statement. 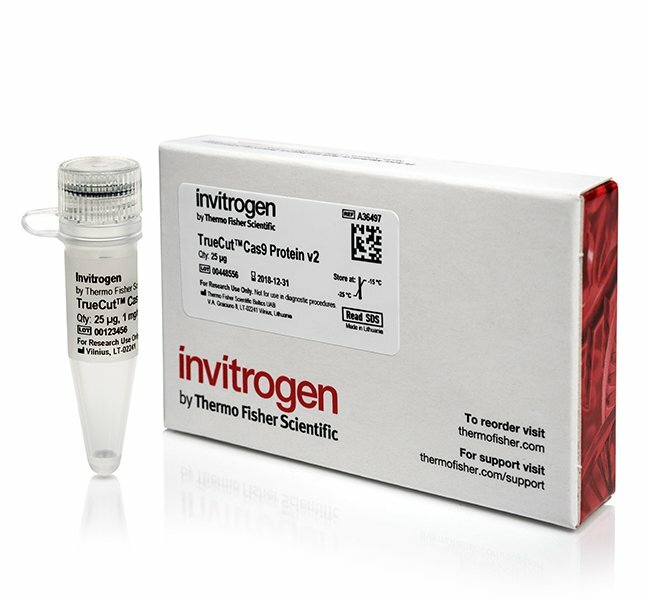 Combined with previous licenses it signed with ToolGen in 2015, Thermo Fisher said, its CRISPR IP portfolio is extensive enough to support a CRISPR product line that includes Invitrogen TrueCut Cas9 Protein v2.0, Invitrogen TrueGuide Synthetic gRNAs and Invitrogen LentiArray CRISPR Libraries. In addition to its CRISPR IP portfolio, Thermo Fisher also holds exclusive rights to the Tal Effector Nuclease (TALEN) IP portfolio—which according to Thermo Fisher enables it to provide a wider selection of product and service solutions for research customers. The company also offers customers pooled and arrayed CRISPR libraries, cell line engineering services, products and protocols for CRISPR-Cas9 transfection, and genome editing detection and analysis tools. Last year, Thermo Fisher expanded its series of hands-on workshops for both CRISPR and TALEN gene editing technologies by offering four-day workshops at its training facilities worldwide. “The combination of CRISPR and TALEN technologies provides a complete genome editing toolbox that moves researchers closer to the promise of delivering on the potential of synthetic biology,” added Jon Chesnut, Thermo Fisher's senior director of R&D for synthetic biology.